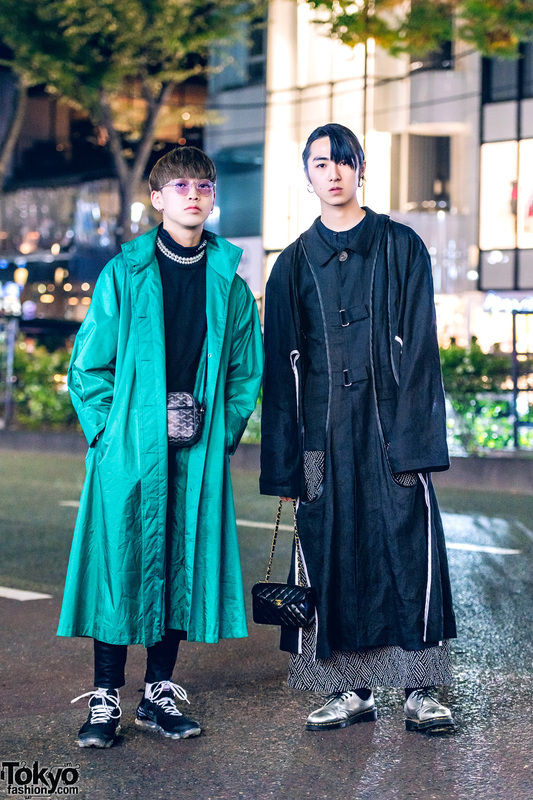 Pink check suit, pink Chanel sneakers, Fendi logo bag, and hijab style on the street in Shibuya, Japan. Harajuku girl wearing a colorful retro street style with a beret, jacket, belted skirt, gold shoes, and Chanel earrings. 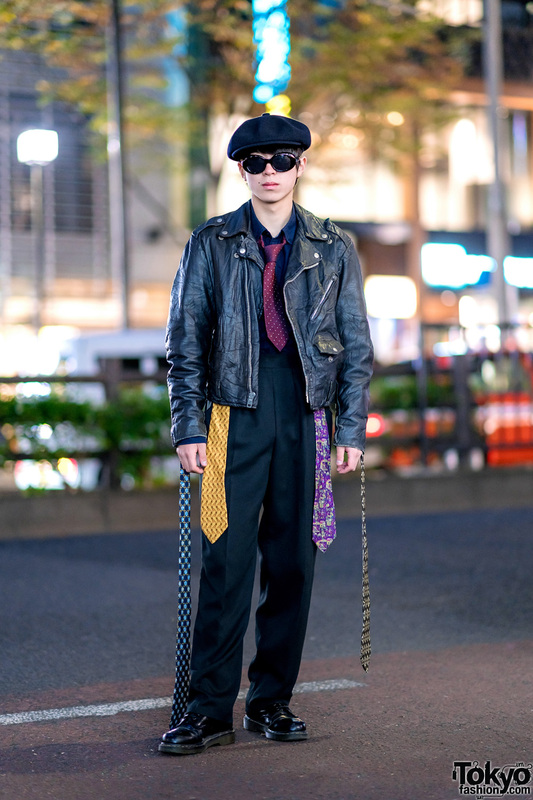 Japanese guy in an all black streetwear style with five printed neckties, black beret, and black sunglasses. Japanese model and pop idol wearing a colorful fun pink and yellow street style in Harajuku.